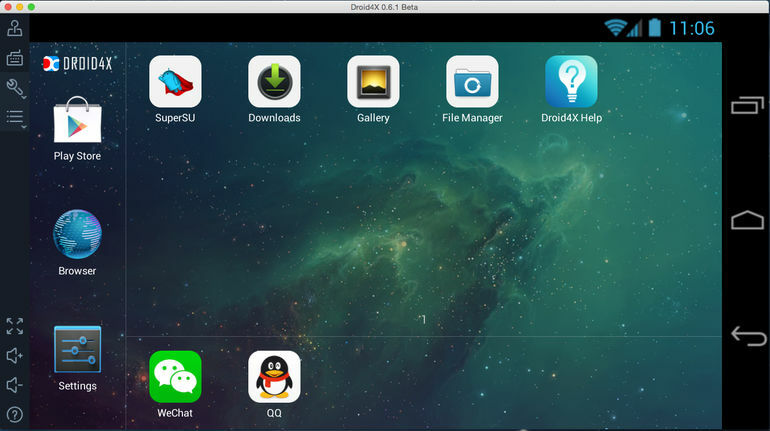 Droid4X — is an excellent emulator for running Android applications on a PC. It runs on all computers running under Windows OS. It goes perfect for testing any game or an application developed and adapted for Android. 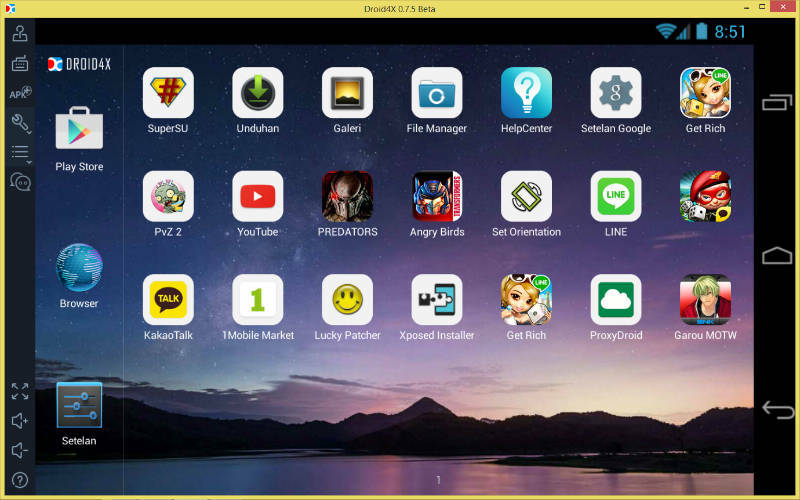 This emulator is also a real gift for those who can not run new games or applications on their smartphones and tablets because of outdated versions of operating systems. Now you can just download the emulator and don’t have to buy a new mobile device. There is a function of making fragment screen shots. 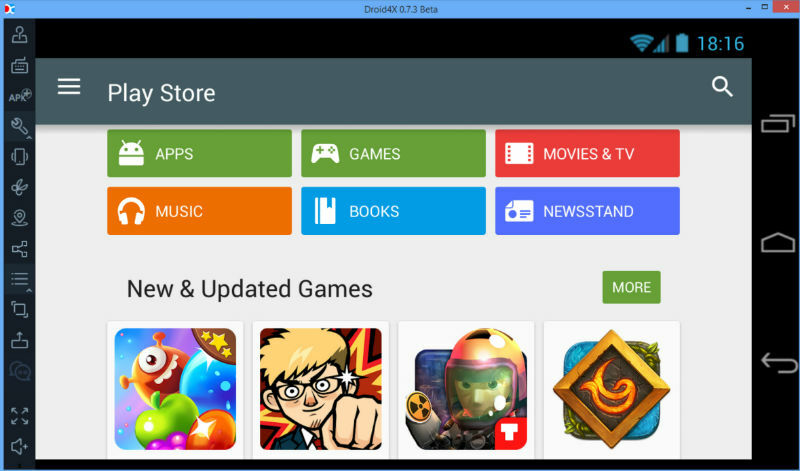 Droid4X emulator stands out from all the other programs of this class. It is chosen because of a high performance and reasonable system requirements. You will not have any problems with the installations – all steps are easy and clear. Settings are the same. If you want to work on your PC like on a real tablet, install Droid4X right now. For a fully functioning you are to have a processor with a support of virtualization (otherwise you may get serious troubles while running). Copyright © 2015 - 2018 | Android Emulators - a detailed description of all Android emulators for PC or laptop that run on the operating system: Windows 7, Windows 8, Windows 10.